‘Peace through strength’. Does this slogan sound familiar? “Today I am here to talk to you about three crucial words that should be at the centre, always, of our foreign policy: peace through strength.” Donald Trump, 2016. At the core of this speech is a concern for security, which is expressed both in the desire to defeat – in Trump’s words – ‘radical Islamic terrorism’, and in the intent to construct a ‘big beautiful wall’ at the border between the US and Mexico with the stated aim of minimising illegal immigration. Soon after President Trump’s election and his announcement that a wall would be built on the southern border of the United States, newspaper articles started reporting on the possible material forms and features of this construction. In this context, a number of references were made to Hadrian’s Wall, together with, for example, the Great Wall of China and the Berlin Wall. Yes, that very same Berlin Wall whose ‘tearing down’ was highlighted elsewhere by Trump as one of the greatest achievements of Reagan’s peace through strong foreign policy! Over time, and often in response to some of this news, people engaged in ‘everyday’ political activism on social media started to refer to the image of Hadrian’s Wall to explain, support or oppose Trump’s choices on matters of immigration and security. Additionally, Hadrian’s Wall began to serve as a means of drawing comparisons between foreign policies in the US and the UK. These and other comparable uses of the ancient past in today’s political discussions was the subject of research undertaken as part of Ancient Identities in Modern Britain, a large project funded by the UK Arts and Humanities Research Council. This project, now in its third year, is a collaboration between the University of Stirling, where I am currently based, and Durham University’s Departments of Archaeology (Richard Hingley and Kate Sharpe) and Anthropology (Tom Yarrow). The overall aim of the project is to study the diversity of heritages that people across Britain create from Iron Age, Roman and Early Medieval pasts. To understand how materials, ideas, practices and places from these periods have been leveraged in present-day society and document the contrasting values inherent in these heritages, we have been applying both data-intensive and ethnographic approaches, online and offline. Working with Marta Krzyzanska, I have focussed on the analysis and interpretation of online fields of investigation and the analysis of web data. Initial results from our work were published in the Journal of Social Archaeology and Britannia, also featuring in Nature news, the Times and the Telegraph. Whilst these two journal outputs examine the Heritage of Brexit, research on appropriations of the past in US and Italian political discourse are still in progress and due to be communicated via a stand-alone monograph. Here, I will provide a very swift taster of the US-Mexican border case study, reflecting qualitatively on a corpus of about 1,000 tweets containing a combination of keywords including ‘Hadrian’ and at least one of the following stem words: ‘Trump’, ‘US’, and ‘Mexic’. This corpus seemed to consist primarily, albeit not exclusively, of tweets written by people based in Britain and opposing Trump’s plan to build a solid border wall. There are two important sets of observations that this material invites. The first pertains to the ways in which people utilise the past to relate to important present-day issues such as those we are discussing. In numerous cases, the past is evoked to explain and inspire the present, with Hadrian’s Wall ironically mentioned in relation to Trump’s own Scottish heritage to justify his passion for ‘wall works’. The Wall is also sometimes drawn upon as evidence useful to predict the future. For example, our corpus contains repeated references to the fact that walls have been proved to fail in their protective function and, ultimately, to fall down. The same destiny is anticipated for Trump’s Wall. Indeed, people’s understanding of the ancient ‘official’ past gets variously intertwined with their personal and family pasts to make up that overall experience on which they draw when they go about their lives and shape their fears, hopes and plans for the future. This is why exploring public perceptions and experiences of heritage is of vital importance. So, what does recalling Hadrian’s Wall tell us? The majority of the authors of the tweets we have analysed see this feature in the landscape as performing a divisive function. They mostly describe it as built to ‘keep out’ others – ‘barbarian’ others as opposed to civilised ‘us’ – in the past and the present. Only a handful of contributors acknowledged that this was also a place of encounter, a border zone with aspects of porosity, allowing for interactions and trading relationships. As a result of this underlying view, Hadrian’s Wall is invoked as a dichotomous symbol of either ‘strength’, or ‘suppression’ and ‘xenophobia’, depending on the political inclination of the writer. The fact that this heritage place (and object) is a World Heritage Site was also utilised to celebrate the perceived divisive nature of the construction, to the extent that some hoped that Trump’s Wall could also become a World Heritage Site and that they could ‘visit it’ in the future. There is a striking comparison between this being frequently stated, and the recurring view and interpretation offered by the Frontiers of the Roman Empire World Heritage Site (FREWHS), of which Hadrian’s Wall is part: that of a transnational site, which is presented as a symbol of the integration of frontiers and of connection rather than fragmentation. This should indeed encourage us to think more and harder about the implications of WHS nominations and their hidden and unanticipated consequences, particularly in relation to border heritages. 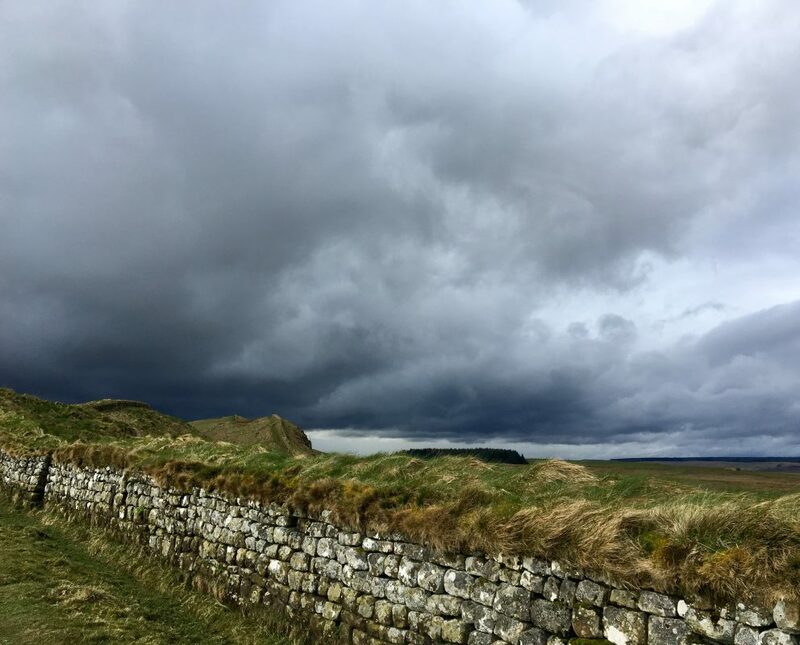 Despite being a symbol of separation and isolation, there is one (alarmingly) unifying function that Hadrian’s Wall is playing within the political conversations we have analysed. It brings together comparable narratives emerging in different parts of the world, particularly acting as a trait d’union between Brexit and Trump, the Scottish Independence Referendum and the tension between London and other regions of England. 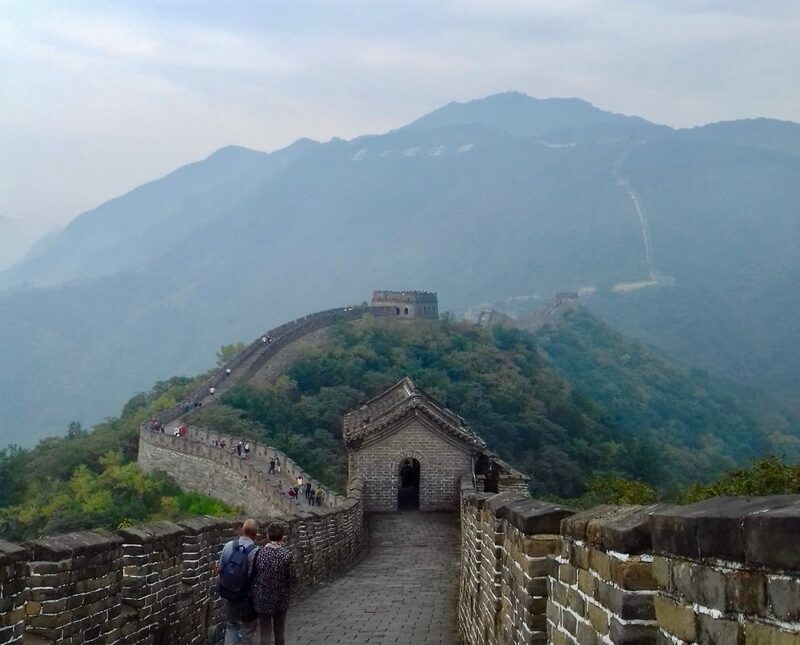 It is a wall that divides, but also connects regions and peoples who are experiencing populist nationalism today, regardless of the side of the fence where they stand. As such, it remains a powerful but contested image and heritage site, of great resonance in today’s world. 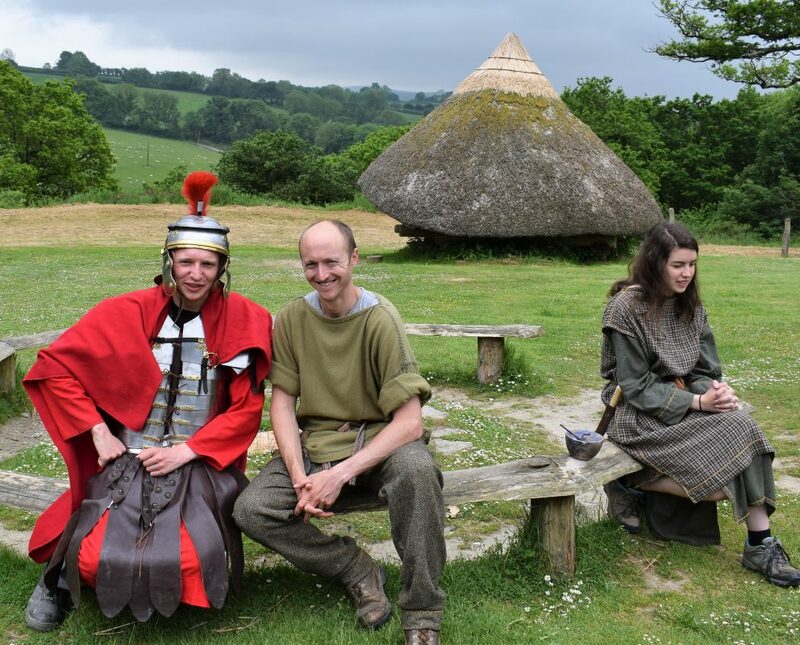 Whilst Chiara has been investigating online debates and individual interventions linked to the topic of borders and frontiers, I have been talking to people around Britain about their experiences of Iron Age and Roman legacies. Where do people develop some of the ideas of the past that they later evoke? To address this question, I have visited museums and outdoor heritage sites to record interpretations that were staged at these venues and people’s ways of engaging with them. This journey brought me to connect with some of the dichotomies that Chiara was discussing. One of the most striking things I’ve observed is the significant impact that the introduction, in 2013, of ‘Prehistory’ to the National Curriculum for Primary Schools in England has had on both teachers and heritage centres covering this huge and sometimes conceptually complex period. For many years, the teaching of History began with ‘The Romans in Britain’ and teachers were generally well-versed in the traditional themes of invasion and ‘Romanisation’. British Prehistory, however, presents a whole new challenge: the evidence is sparser and gaps in knowledge wider; chronologies are more relative and less resolved; events are vague and largely anonymous; and the lifeways and landscapes of prehistoric people are less accessible and less familiar. The three-age system of ‘Stone’, ‘Bronze’ and ‘Iron’, traditionally used to carve up Prehistory into (very uneven) bites of time is counter intuitive for anyone brought up in a culture where the shinier the metal the better. In the context of ‘Prehistory’, the Iron Age in Britain, with which our present study is concerned, is a relatively brief period right at the end of Prehistory, brought to an abrupt end by one of the most transformative (and most well-known) episodes in the story of Britain: the Roman Invasion. This dramatic event has become a key point of reference, easily remembered as ca. 2000 years ago. Continuing Chiara’s theme of ‘disconnection’ and ‘fragmentation’, it occurred conveniently close to the very division between BC and AD and is presented as the start of a very different era in Britain to those that went before: the beginning of ‘History’ in written form, the introduction of ‘civilisation’, technology, and all those other things that ‘the Romans did for us’. 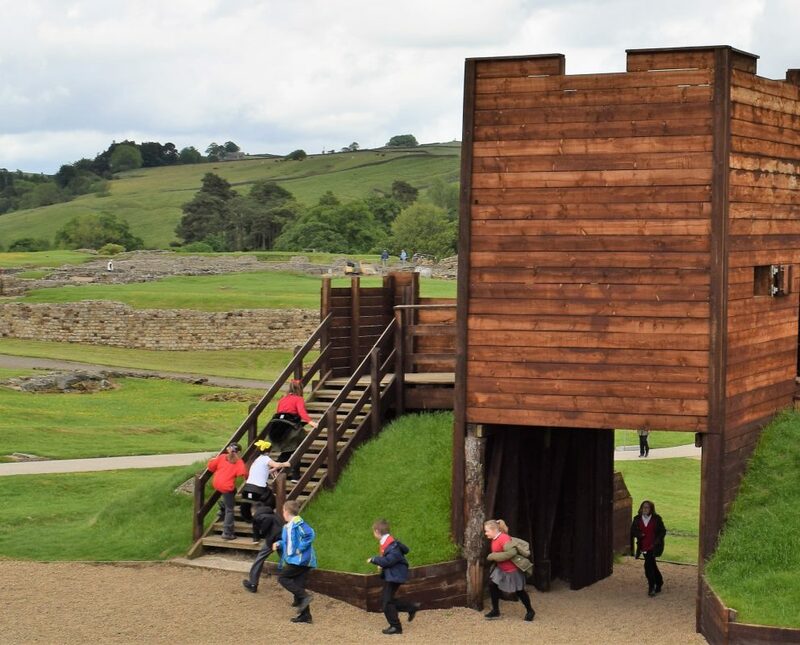 The National Curriculum in England reinforces this division between Prehistory and The Romans, and teachers, museums, and heritage venues across Britain have developed lessons and resources in response, with distinct classes or activities for each period. Observations during our fieldwork suggest some conflation of the two periods with the two cultures who populated them: ‘Celtic’ people lived in the Iron Age; ‘Romans’ lived in the Roman period. This appears to create some confusion regarding those indigenous communities who were the subject of ‘Romanisation’, usually referred to as ‘Britons’. The fragmented syllabus means there is often no clear explanation that they were the same people who lived in Britain in the Iron Age, or the fact that both Roman and Iron Age cultures existed in parallel to varying degrees, at different latitudes, throughout the Roman period. Evidence of continuity and complexity is lost in the rigid conceptual distinction between Prehistoric (Iron Age) and Roman Britain. Educators struggling to convey the extensive syllabus to 7-11 yr-olds within a limited time-frame tend to focus on the evidence that is characteristically Roman and generally positive: mosaics, bathhouses, forts, roads and, of course, The Wall. These provide a direct technological contrast to the previous Prehistoric ages, which become fused into one rather murky culture based on the ubiquitous reconstructed round-house. Outdoor heritage centres have made great strides to redress the balance, replacing perceptions of savage, barbarian Iron Age communities with images of an innovative, creative, resourceful, and spiritual people who were experienced farmers, in tune with the world around them, and had extensive trading links, across the Roman Empire. There is less opportunity to state that these were the same communities encountered by the Roman Army, and that many rural settlements remained relatively untouched by the changes that followed. Rather, they seem to either dissolve into the mists or become Roman ‘wannabees’, throwing in their lot with the Empire in return for indoor plumbing and underfloor heating. As already noted, teachers are under pressure to cover the curriculum as it stands, and there is little room for a more nuanced consideration of the way history (and prehistory) is created and presented, or how this might relate to (or reflect) contemporary issues and anxieties – especially give the age range involved. Yet the introduction of a more critical approach at this very early stage, through the thematic lens of heritage and the contemporary relevance of the past, might yield significant dividends and begin deconstructing some of the very solid ‘walls’ that currently stand firmly in the conceptual frameworks of those of us educated in ‘pre-Prehistory’ days, and which endure across many of the educational resources currently available. 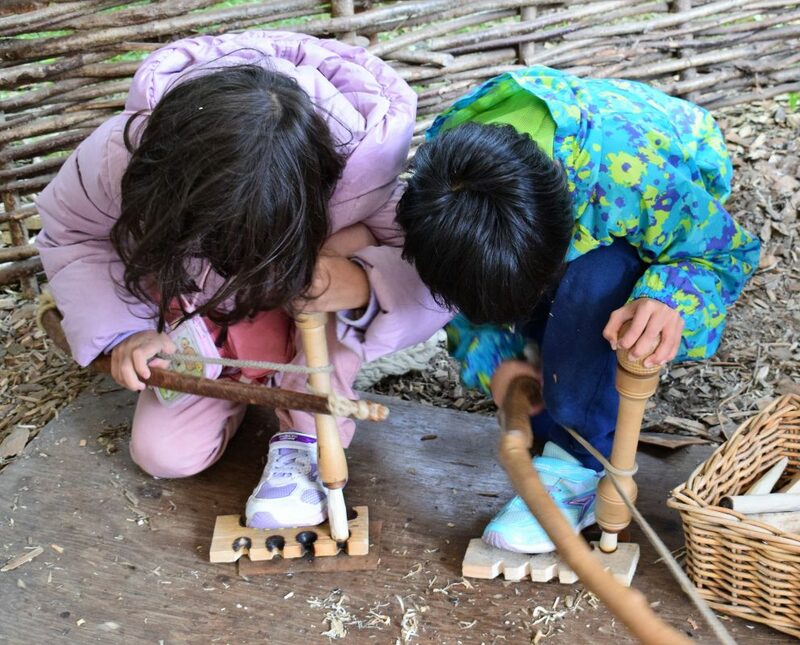 Heritage teaching at an early age has, indeed, a great role to play and is a line that we are currently looking to support as part of our project.